The species ranges throughout the Palearctic region from Western Europe to Japan. In Armenia as well as in the whole Caucasus and Transcaucasia the nominate subspecies occurs, which inhabits selected spots in Northern and Central regions of the country, occupying mountain meadows and glades in the woodlands at elevations between 1800 and 2400 m a.s.l. Its host plants are Veronica spp. ; the species gives one generation per year, having butterflies on wing from mid June till mid July. The species is uncommon to rare within typical habitat, which decreases amount of monitoring data, making those insufficient for computation of the population trend. Taking into account habitat specialization of the species, it is possible to conclude that intensification of grazing can be a threat for Heath Fritillary. The species has not been evaluated for the Global and National Red Lists, as well as not included in the CITES and Bern conventions; however it is listed in European Red Book as Least Concern. Preliminary assessment of its conservation status for Armenia suggests Near Threatened. The current distribution of Heath Fritillary in the country is not covered by any protected areas, but is included into Emerald Site Djadjur. 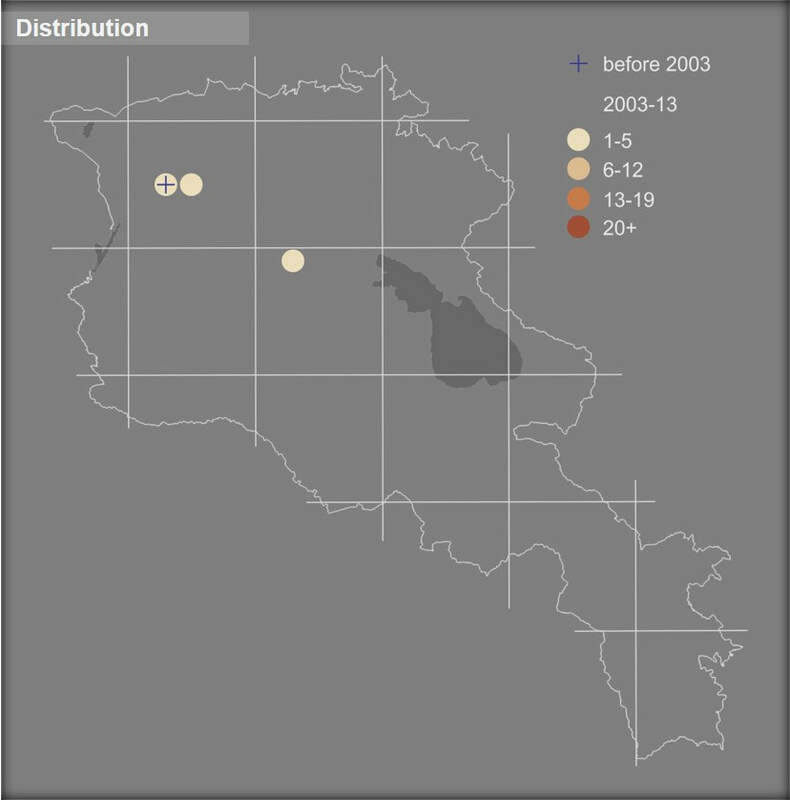 Among conservation measures the following ones should be mentioned: (1) evaluation of the second spot of species distribution located at Tsaghkounyats Mountains as Emerald Site; (2) development of management plans for those Emerald Sites; (3) inclusion of the species into next edition of Red Book of Armenia planned for 2020; (4) assessment of those sites as Prime Butterfly Areas and their further promotion; (5) development and introduction of habitat friendly grazing schemes.